The Olympic torch is continuing its journey through the region. It started the day in Dumfries for its final visit to Scotland before re-entering Carlisle. Now it is travelling through West Cumbria. 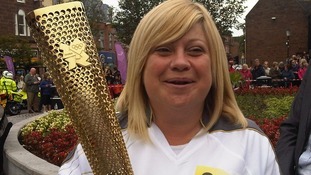 Helen Pearson was there to watch in Workington.